Product contains soy. Produced in a facility that also processes milk, egg, wheat, soy, peanuts, and tree nuts (pecans, almonds, coconut, cashews, walnuts). This product is gluten free. 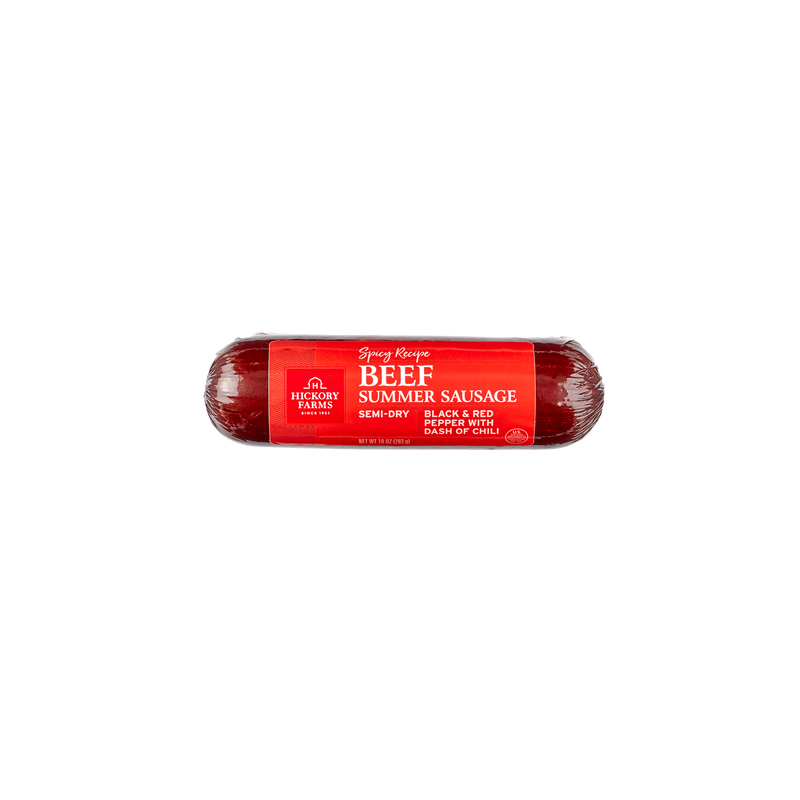 This zesty variety of summer sausage is a real beauty! 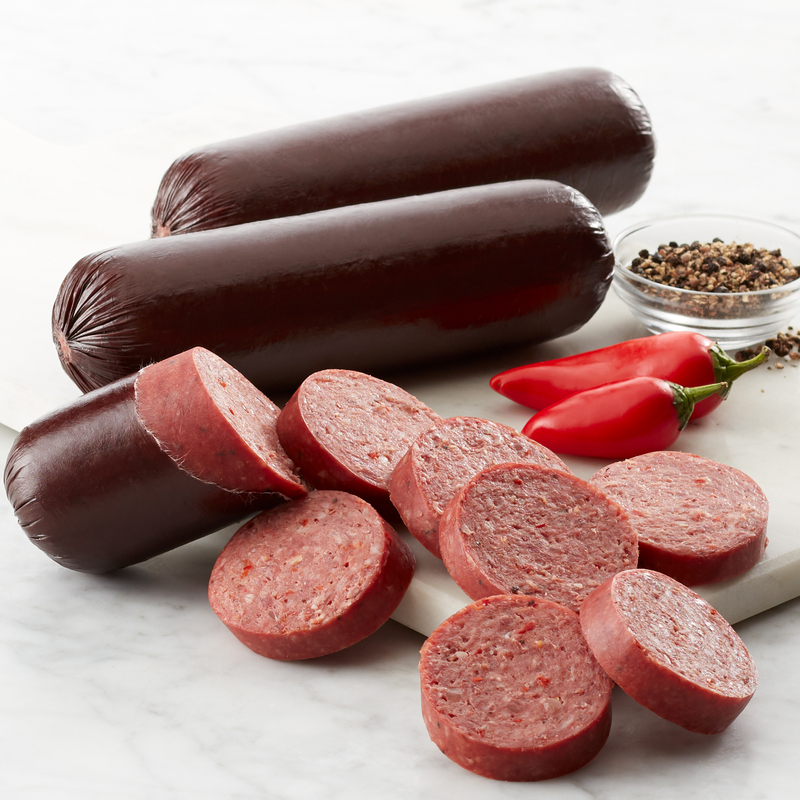 Seasoned with California Beauty Chili Peppers from New Mexico's Hatch Valley, our Spicy Beef Summer Sausage adds a little southwestern zing to our famous recipe. Adventurous friends and family members who like to add a little spice to their snack will love this sausage, and it makes a great addition to any meat and cheese platter for easy party snacking.